This is a list of some of the site tools, resources, and providers that helped me build my site. Here is a list of some of the site tools, resources, and providers that helped me build my site. Everything listed is something I personally endorse because I use it currently, used it previously, or know someone that uses it successfully. I can’t promise everything will work for you, and everyone’s needs are different, but I hope the information provided helps you get you started or with your decision-making. I recently switched over from WordPress to Squarespace. For a "hobby blogger" like me, I found it a better fit for my needs. With WordPress I had to manage a host, domain providers, CDNs, Plugins, Themes, Upgrades, Back-Ups, Email, analytics, compatibility issues, and multiple sources for support. After testing out a variety of services and alternate WordPress themes, I decided that the "one stop shop" and "simplicity" of Squarespace suited my needs nicely. Yes, there are things I miss about WordPress. And yes, there are things that I can't do with Squarespace. But Squarespace gives me about 90% of what I want to accomplish, at a lower total cost, better support, and a much simpler interface. I used Bluehost for my WordPress hosting for several years and was always very satisfied with them. You can get a shared-server hosting account, domain name, email accounts, ftp access, automated back-ups, and “one-click” install of WordPress. Their support was via phone, email, chats, and forums. You can manage multiple domains on their basic plan, a nice option if you want to run multiple sites from one account, and they have tons of options for future growth. After Bluehost, I changed my Wordpress hosting to A2Hosting, which is a more advanced and higher-speed hosting provider. They offer high-speed, solid-state drive ("SSD") Wordpress tuned servers. They also offer a number of advanced performance features and strong integration with several other solutions, such as Content Delivery Networks (CDNs). They are more expensive then Bluehost, but my site runs much faster since moving my site to them, and I have been very happy with their support an service. I still use GoDaddy as my domain provider. When it comes to simple, cheap, and flexible domain management, they are hard to beat, and that way, my all my domains are with someone separate from my hosting which makes things a bit simpler if I ever want to change hosts. They are actually another hosting provider that made my "short list" and I know many people using them as a hosting provider and are very satisfied as well. Once I decided on my hosting provider, I had to pick a WordPress “theme”. There are thousands of themes out there, from simple and free to highly configurable and complex. I chose Inovado from Themeforest as my WordPress Theme. I had seen on a fellow blogger's site and really liked its "look and feel". It's a nice "middle of the road" theme with a very "clean look" and a number of built-in options. I use Hootsuite to help manage my social networks from a single dashboard, which saves me a huge amount of time. I found it becoming more and more difficult to try to manage each individually, and was spending just way too much time on each of these platforms. They have a very simple "free plan", as well as a "pro" paid plan with a lot more options. Buffer is the other big social management platform that is out there. I actually use Buffer for scheduling out some of my social communications as well. I find that I like Hootsuite a bit more to manage engagement and connections, but Buffer for scheduling future tweets and posts. Having a mailing list is essential for collecting and communicating with your audience. There are lots of providers out there, but I found two that had a "free tier" of service for small lists and seemed especially geared towards the "beginner". I started out using Mad Mimi for my mailing list. Excellent features, easy to understand interface, and great support. They also have a tremendous amount of integration with other solution providers, a nice consideration for future growth. When I moved to Squarespace, I switched to MailChimp because it is integrated with Squarespace. Overall, very similar in features, price, and functionality to Mad Mimi, and probably a bit more widely used. It has a great set of features, and the built-in integration with Squarespace makes using it super simple! I tried (and failed!) to create my own logo. I didn't know what I was doing, I'm not that creative, and the image looked terrible. I decided to try out a logo design firm, which turned out to be a great decision. How can you resist a business name with the word “nerd” in it! For only $27, a Logo Nerds designer creates 3 “design concepts” with "unlimited revisions". I sent them my ideas, color suggestions, and a link to my web site. Several days later, I received a few logo designs, one which I liked. After a few revisions, I ended-up with the logo I use on my site. For the low cost, the nerds are hard to beat! 99 Designs is another logo and design service recommended by several people. Their model is a bit different as they send out your request to dozens of different designers at once. You then work with as many as you want on revisions until you "award" your final design. I have seen samples of their work and have been very impressed with the variety and quality. If you have a bit more of a budget, this is a real option to consider. For producing my business cards, I used Vistaprint. Since I already had my logo graphic courtesy of Logo Nerds, I was able to just upload it, choose a few options, and place my order. I upgraded to a higher card stock and added a "QR Scan Code" to the back with my "vCard" information. I received my cards quickly and am very satisfied with their quality. They offer a full range of design services, as well as a large selection of promotional merchandise. Sometimes, you just can’t do it all yourself, either because you don’t have the time or the expertise. Upwork to the rescue! I had a few WordPress pages I just wasn't able to get formatted how I wanted. I described what I wanted and in a few days had dozens of offers from around the world. You review profiles, portfolios, and prior feedback. I have used a few different freelancers, and they have saved me a huge amount of time and frustration. I used LegalZoom to handle a few simple legal matters and copyright some of my training materials. I could have spent a few hundred hours figuring-out how to file everything myself, or paid ten times the amount for a private attorney to do the work, but since these were fairly routine legal needs, LegalZoom filled this need perfectly. Their site stepped me through the process - simply, quickly, easily, and cost effectively. Having a site with great content is a start, but people also need to be able to “find you” when they type search terms into web search engines. Here are a few tools that helped make this happen. Google Analytics is a free website tool that allows you to understand how many people are viewing your site, where they are coming from, and how they are finding it. Definitely a "must have" for website traffic analysis. Yoast makes great WordPress plugin-ins that help you better optimize your site. I use their "WordPress SEO" and "Google Analytics" plugins, and they help ensure my posts contain the necessary elements to get “found” by search engines. They have other plug-ins as well, such as optimizing for "videos" and "news" feeds. Definitely worth getting the “premium” versions due to the additional features and support options. AddThis allows site visitors to easily "like" and "follow" your site with popular social networks, such as Facebook, Twitter, Google+, and many others. You can see their toolbars at the top of my site and in the top and bottom of my posts. There is account that allows you to track your social activity, and the basic service is free! No one likes to wait for web pages to load! The WP Super Cache plugin greatly improves the speed of your site, and best of all, it is completely free. Please become familiar with the copyright laws pertaining to adding images to your site, since many images on the internet available through search engines are actually in violation of their copyright. The best way to avoid any problems is to use a site that contains only licensed images. I get most of the images from Freedigitalphotos.net. The smaller-sized photos (which work fine for my posts) are free as long as you include the appropriate attribution. I sometimes go to Pixabay, which is another site that contains a large selection of high-quality, free images. The first row are from a paid site. RGBStock is yet another great site of high-quality, royalty free images. As with Pixabay above, the first row shown are "sponsored images" from a paid site, but they have a great selection of free photos across a wide variety of categories. Dreamstime is my "go to" site when I am just not finding what I want on the free sites and am willing to pay a little bit for a huge selection of images. A medium resolution image that works in my posts is only a dollar or two, which is often well worth paying rather than spending more time searching for a free image. WordPress is a free, “open source” website platform developed and maintained by volunteers, with a huge amount of extensions, "plug-ins", and options. 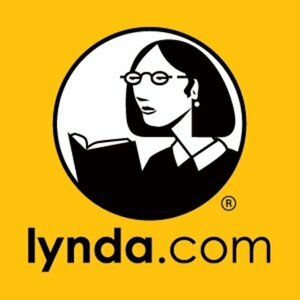 Lynda.com is a fantastic training resource that I have used in order to learn how to build and configure my site. You can pay either on a month-by-month basis, or annually. You get unlimited access to their entire library of training videos, and they have thousands of courses including topics such as Wordpress, Blogging, and Image management. A fantastic resource at a very affordable price and highly recommended. If you want to learn about WordPress, download “plugins”, read reviews and feedback, and reach out for free support, make sure you register on WordPress.org. WPBeginner is a WordPress resource site that provides tips, tricks, tutorials,and support to help improve your WordPress skills and enhance your site. Another great (and free) site with a tremendous amount of helpful information. Problogger is one of the top sites on how to build and grow a great blog. There is a tremendous amount of free information, as well as books, resources, and a support community. Another great resource with a wealth of information.